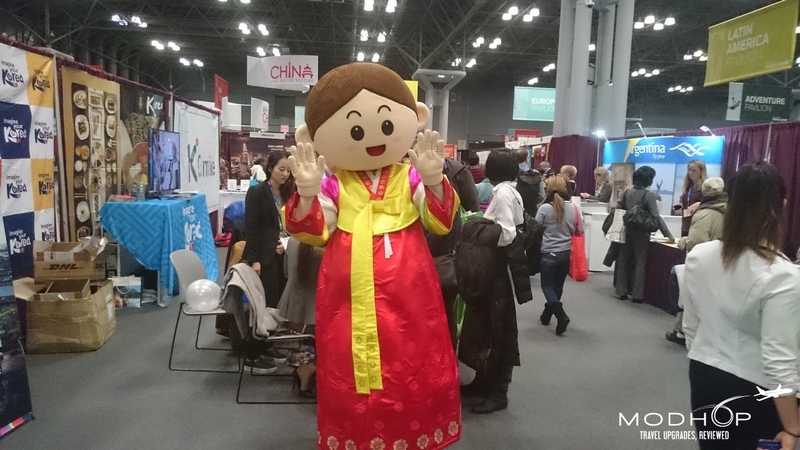 No sign of someone from Asiana or Korean Air, but we met a new pal at the #visitkorea booth. 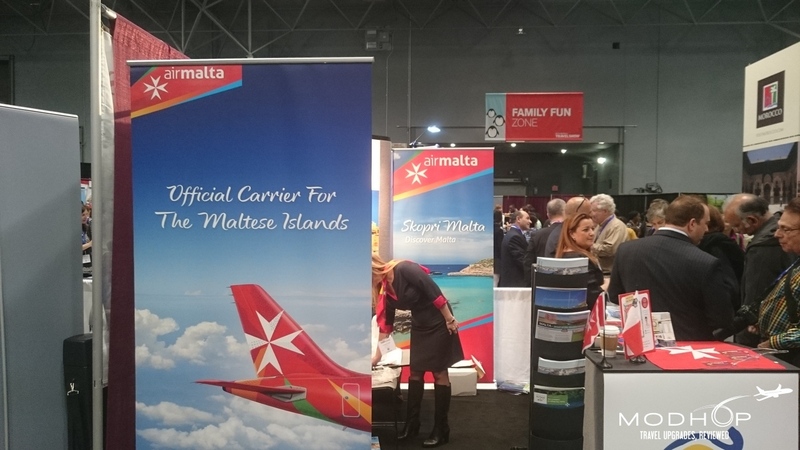 TThe New York Times Travel Show isn’t necessarily a showcase for airlines as much as it is for destinations, so it’s not a surprise we weren’t swimming in premium seat mock-ups and route announcements. 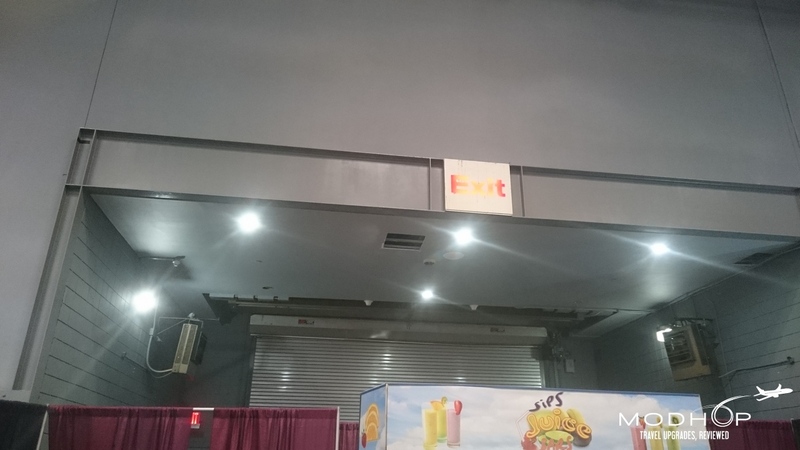 In fact there was no more than a small handful of airlines on hand. 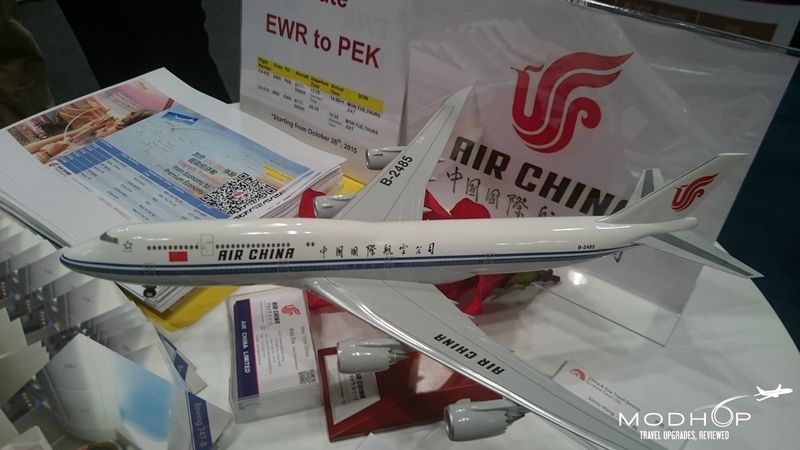 The biggest concentration of carriers were found within the China corner of the Asian Pavilion, sporting many of the country’s bigger airlines: China Eastern, China Southern, Air China, etc. 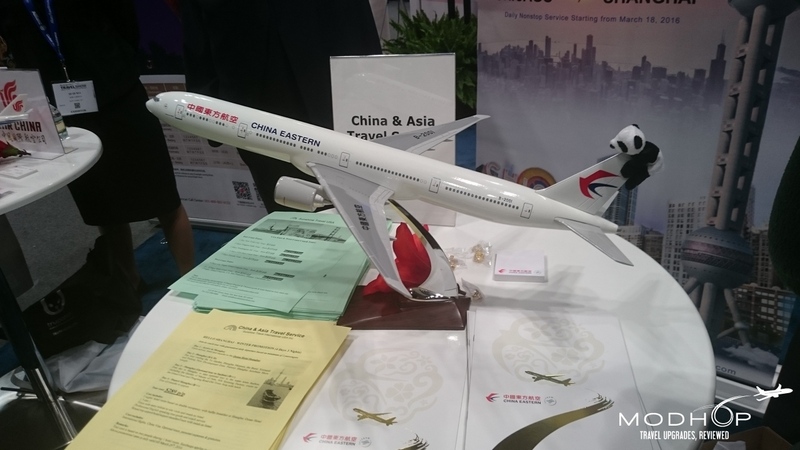 Our short list of favorites starts with China Eastern who recently announced new daily service between Chicago and Shanghai starting in March aboard the 777-300ER. The route will feature their 43″x82″ “suite-like” first class suites and leather fully-flat business class seats. 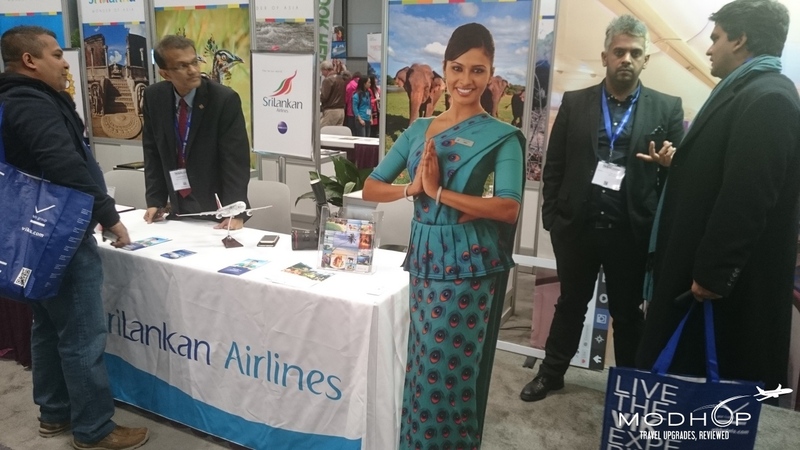 Another airline that had an enthusiastic representative to talk shop with us is China Southern who offers up daily non-stops to their Guangzhou hub from New York JFK on their 777-300ER. You’ll have to be one of just 4 uber-elite flyers in first class, but might have a better shot at one of 34 lie-flat business class seats. 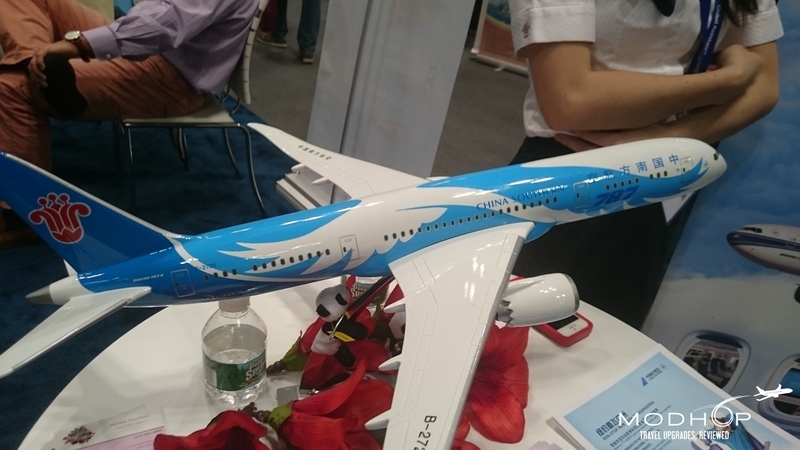 China Southern Airlines also offers non-stops from Los Angeles aboard the spacious A380 with double the first class seats and more than twice the business class seats than the New York flight. 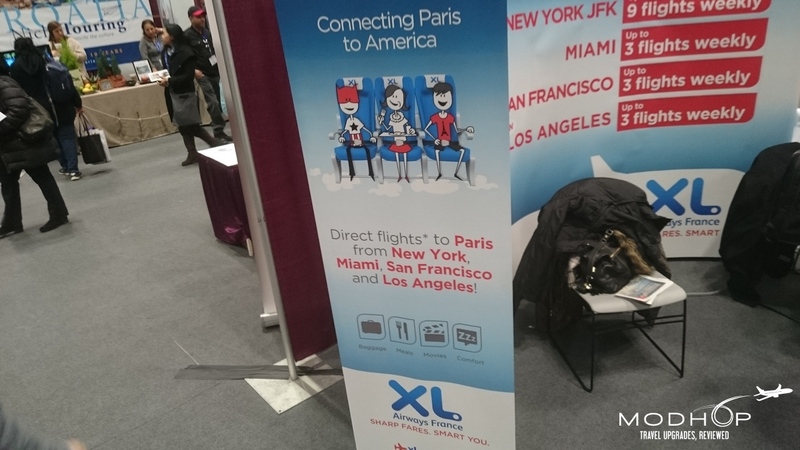 XL Airways is a bit of a mystery to us as a discount carrier to/from France. 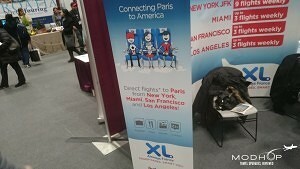 A mostly economy experience, XL DOES offer a US Domestic First Class style cabin on some A330 aircraft. 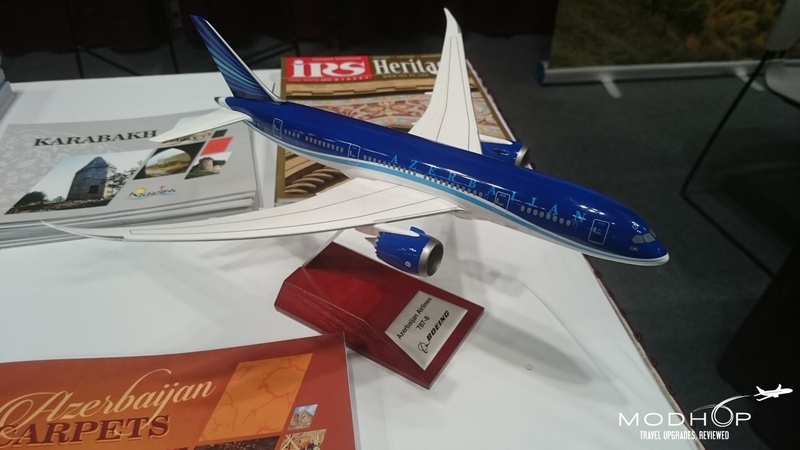 Honorable mentions go to French discount carrier XL Airways who’s booth was one of the few stand-alone displays not connected to a country’s tourism booth. 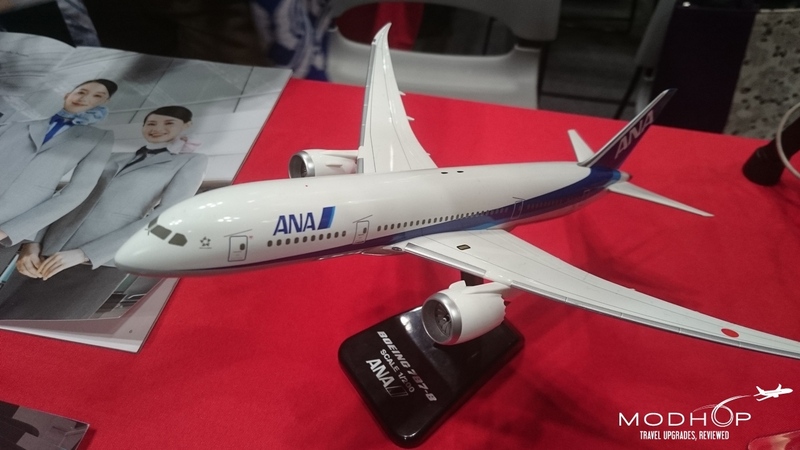 The airline offers a bit of an inconsistent product but the appeal here is price over luxury. 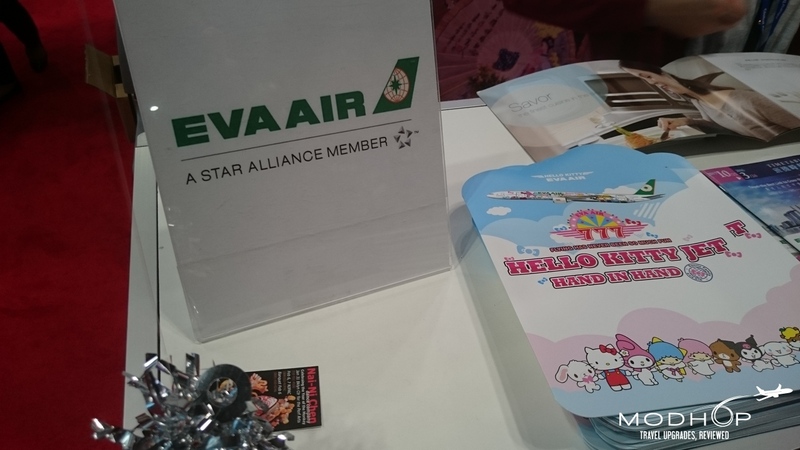 ANA represented for Japan and EVA Airlines was on hand to talk about their Hello Kitty fleet and Royal Laurel Business class, one of our faves. 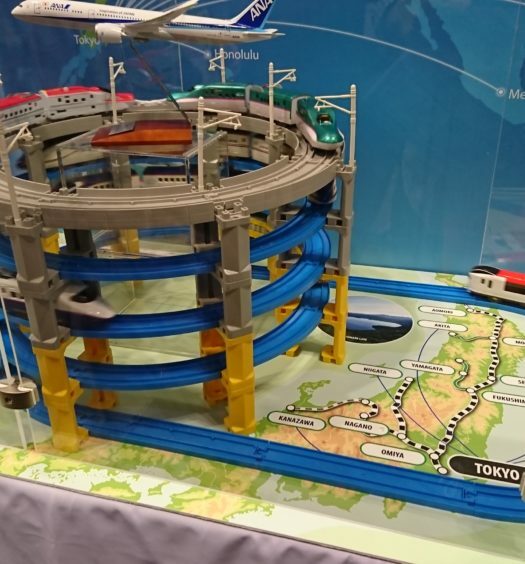 “Air-Travel related stuff”, while not an official category at the 2016 New York Times Travel Show was something we were in search of. 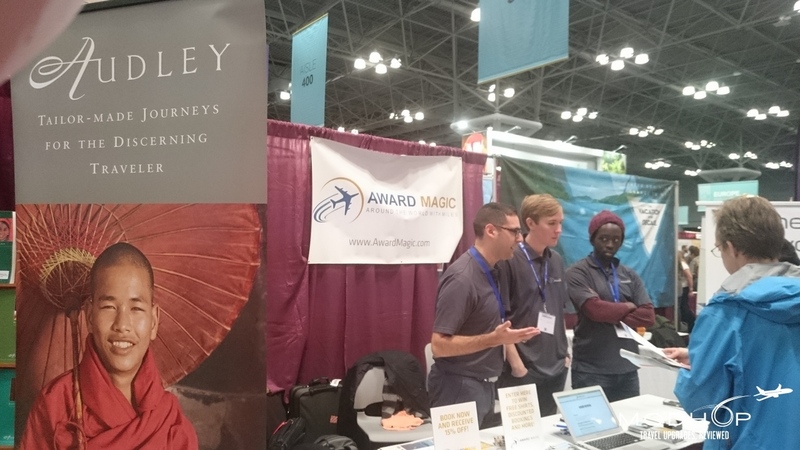 Point & miles experts from AwardMagic were on hand to introduce crowds to their expert award search & booking assistance service, Berkshire Hathaway Travel Protection listed a handful of reasons why you should hand them your money to protect your travels. 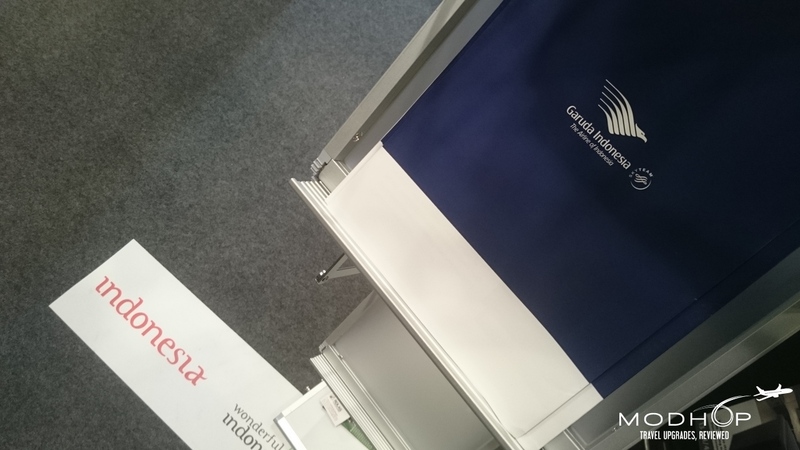 It was a good start to finding products and services to vet for our growing resources category. 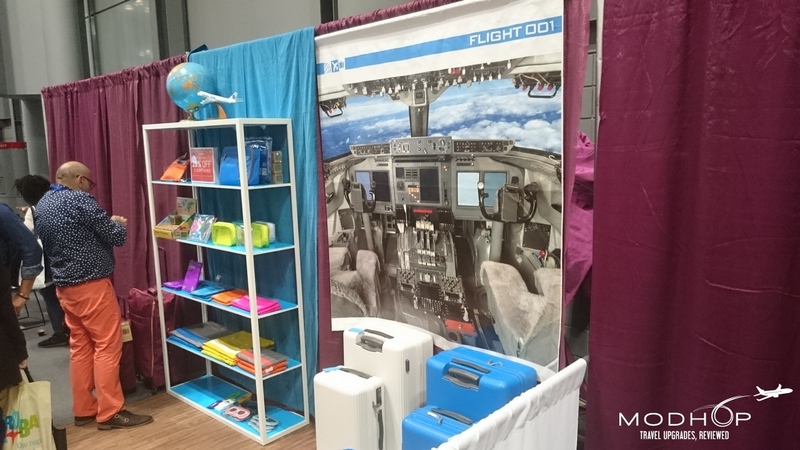 With no seats to take pictures of, we did our best to capture a little bit of air-geekery by filling our gallery with model airplanes. 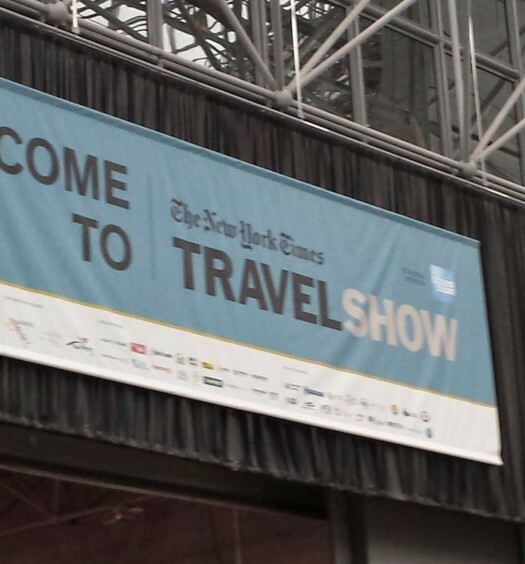 Here’s a peek at what we found inside the 2016 New York Times Travel Show.